After 8 Long Years, Sasikumar To Direct A Movie By Casting This Actor !! EXCLUSIVE !! Sasikumar is an Indian film director, actor and producer. He is best known in the Tamil film industry for his debut film Subramaniyapuram (2008). The low-budget film received attention for its original script, direction, screenplay, editing and accurate sets and costumes resurrecting Madurai from the 1980s. After the blockbuster movie, Sasikumar also directed a movie named Eesan starring Vaibhav which was released in 2010. After that there were so many rumours surfaced on Sasikumar’s directorial. But he continued acting as protagonist and as character artist in many films. Now it is confirmed that Sasi is going to direct a period film starring actor Surya, one of the leading actor of K-town. 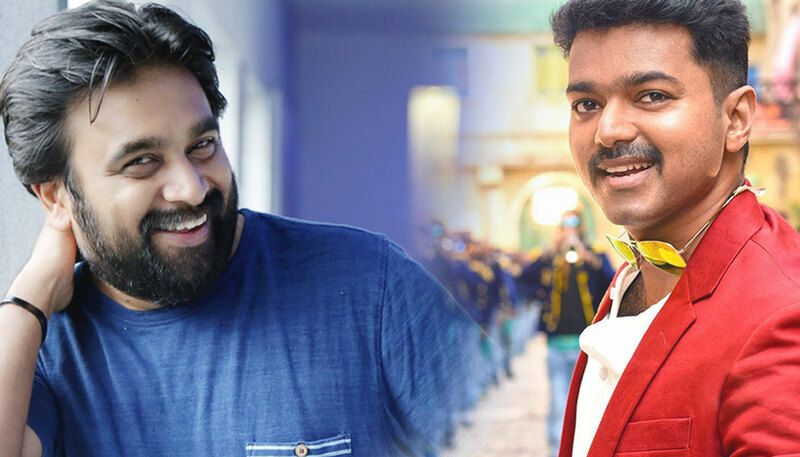 It is also said that Sasi initially approached actor Vijay for the film but as a result of his refusal, the film went to Surya reported Samayam. After the success of Sarkar, Actor Vijay currently working in an untitled film by Atlee with whom he is collaborating for third time after Theri and Mersal. Meanwhile actor Surya busy shooting for Selvaraghavan’s NGK and K.V Aanand’s Kaappan. On New Year day, the film makers of Kaapaan released the first look poster of the movie on social media. In the movie, Suriya will be seen in four different get-ups. Mohanlal will be seen in the role of a politician in Kaappaan. Vijay starrer Jilla was Mohanlal’s last movie in Tamil. Lyca productions which produced super hit movies like Enthiran, 2.0 and Kathi is producing the movie. London, US and Brazil are the major locations for the movie. Arya, Boman Irani and Samudrakani are playing lead roles in the movie. Sasikumar is awaiting for “Petta” in which he did the role of “Malik”. Other than that Sasikumar also acted in films like Enai Nokki Paayum Thotta, Naadodigal 2, Kombu Vecha Singam da, Kennedy Club. The shooting of Sasikumar-Surya’s historic planned to commence by the end of this year reports says. We have to wait and watch either this Sasikumar’s directorial is going to match his previous blockbuster “Subramaniyapuram” or not. Comment you views below !! Previous articleMan Beaten To Death By Group Of People For Stealing Cow !! HORRIFIC !! Next articleCaptain Posted A Picture Of Watching “Aquaman” With His Wife !! Followers Surprised ! !